A couple of years ago, I spoke at the University of California, Berkeley. My presence was apparently so offensive to a particular group of people that hundreds of police officers were necessary to ensure the safety of the event. As I spoke inside, the protesters milled about, chanting and shouting. One of their favorite ditties: "SPEECH IS VIOLENCE!" Omar, who has been content to spout openly anti-Semitic nonsense every several weeks since her election, came under fire this week for her remarks at an event in late March, shortly after her Democratic colleagues covered for her Jew hatred by watering down a resolution of condemnation. Speaking before the historically Hamas-friendly Council on American-Islamic Relations (CAIR), Omar unleashed a barrage of lies about the maltreatment of Muslims throughout America. In the midst of that barrage, she dropped a line about Sept. 11: "CAIR was founded after 9/11 because they recognized that some people did something and that all of us were starting to lose access to our civil liberties." That minimization of 9/11 — and that's what it is — resulted in blowback from conservatives. It's not as though Omar's history of treating terrorism with kid gloves is anything new, after all. In 2013, Omar did an interview in which she chided one of her professors for treating terrorist groups with horror while failing to do the same to America, England and the military: "The thing that was interesting in the class was every time the professor said 'Al Qaida,' his shoulders went up. ... But you know, it is that you don't say 'America' with an intensity. You don't say 'England' with the intensity. You don't say 'the Army' with the intensity." In 2016, Omar wrote a letter to a judge asking for lighter sentences for men accused of being Islamic State group recruits, noting that these men merely "chose violence to combat direct marginalization" and calling their recruitment "a consequential mistake" that resulted from "systematic alienation." In 2017, Omar wrote for Time magazine: "We must confront that our nation was founded by the genocide of indigenous people and on the backs of slaves, that we maintain global power with the tenor of neocolonialism. ... Our national avoidance tactic has been to shift the focus to potential international terrorism." That's not exactly a ringing rebuke of international terrorism. But now Omar is criticizing those who merely quote her as inciting violence. She has claimed that President Trump, who posted a video that juxtaposed footage of 9/11 with her "some people did something" comment, is responsible for an uptick in the number of death threats she has received. Her close friend Rep. Alexandria Ocasio-Cortez, D-N.Y., went so far as to compare Omar to a victim of the Holocaust. This is immoral in the extreme. Omar isn't a victim because she's being criticized. And speech isn't incitement. Sen. Bernie Sanders wasn't responsible for the congressional baseball game shooting. Former President Barack Obama wasn't responsible for the Dallas police shooting. And Trump isn't responsible for those who send Omar death threats. He's responsible for criticizing her — rightly, in this case. Democrats who hide behind the charge of incitement are simply attempting to quash debate. And that's far more dangerous for the future of America than criticizing a radical politician. 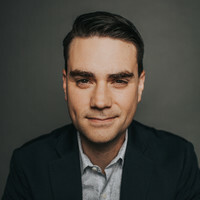 Ben Shapiro, 35, is a graduate of UCLA and Harvard Law School, host of "The Ben Shapiro Show," and editor-in-chief of DailyWire.com. He is the author of the No. 1 New York Times best-seller "The Right Side Of History." He lives with his wife and two children in Los Angeles. To find out more about Ben Shapiro and read features by other Creators Syndicate writers and cartoonists, visit the Creators Syndicate website at www.creators.com.